Forney is a small city in the county of Kaufman, TX. It comes under the boundaries of Dallas–Fort Worth metroplex. When counted, the population of Forney was 14,661 at the 2010 census. The families coming to Forney are increasing. The question to be asked is, why? Forney may look like just any other town, but as a matter of fact, it is the 15th fastest growing town in DFW. Although, the city is growing fastly, the city has maintained its lifestyle which is family-centered. The leaders of Forney have managed to match the growth opportunities with the place available and the sustainability. Forney has big-city perks available for its residents and a number of career opportunities. It also has some excellent public schools, places for recreation, shopping, and healthcare facilities. The table above shows the current residential strategy and also the future strategy for Forney. The community of Forney can’t be defined by only boundaries on the map. It can be defined by the values its people dearly hold inside them for this place. The persons who call Forney as their homeland are persons who are independent, friendly in nature, and caring in nature. The persons in Forney are always ready to help their own when they are in need. The people in Forney are pretty much grounded and down –to-earth. Forney has maintained a perfect balance between its past and its future plans by the following methods. Lifestyle in Forney is family-centered. The entrepreneurs in Forney are supported well by the government. New parks, buildings, trails, and roads are being continuously built in Forney. The demands of the growing population of Forney are well met by the leaders of Forney. City of Forney is also known for its education facilities. The schools in Forney are nationally recognized. Forney has some of the best schools present in its area and also some of the best elementary schools.. In the year 2010, Forney received the rating of “Exemplary” which was based on the test results of TAKS, Texas Assessment of Knowledge and skills. Forney has an eBook program for the development of students. Through this program, the students entering the fifth grade are given a laptop for their work. Forney is located 21 miles away from Dallas. 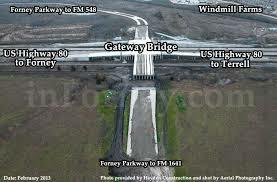 Gateway bridge of Forney is present whose building cost is said to be $23 Million. Another question to be asked is, what Forney has to offer for its businesses? The answer to this question is that Forney offers a lot of options for development. It provides workers who are well-educated, and competitive real estate pricing. Forney is one of the fastest developing and growing communities when compared to others in Kaufman County. To add to the achievement of Forney, it is 10th fastest developing community in Dallas. With the increase in the population, the business opportunities in the city also have increased. There are a number of business centers which serve as a home to many professionals and workers. Few of them are The Heritage Town Center, City Hall, beauty salons, restaurants, bakeries and other specialty stores. 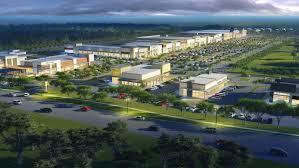 At highway 80 you will be able to find Mustang Crossing shopping center. This center is said to be the home of the many famous shops like Walmart, Chili’s Grill, Wendy’s, Starbucks, GameStop, Starplex Theater Walgreens, CVS, Sonic, several banks, NTB, AutoZone, and Whataburger. For the future development, a number of food and retail shops are being planned which will give rise to more business in Forney. 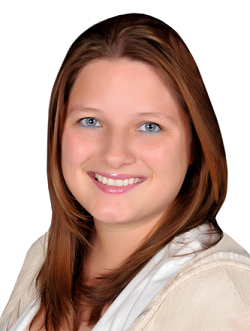 It can be said that as the days are passing by business in Forney are growing rapidly. This growth is the main reason behind people’s attraction to shift to Forney. All the business that is growing is an effort to fulfill the needs of the growing population. Forney attracts people who are broad-minded and is waiting for those who have left but for sure will return. Forney is definitely- a city without limits.